Most objective Democrats would acknowledge that at least some of the cars in Mrs. Clinton’s proverbial freight train are fraught with peril, but they only would do so sheepishly and privately. Most Democrats, however, would not openly state, as Paglia has, that if Hillary were to run today, she would be a seriously flawed candidate. Most Democrats, that believe that Hillary is the inevitable candidate, are privately hoping that Team Hillary’s war room eventually develops a satisfactory spin on these perilous issues in these next three years. They would surely talk about the Hillary Clinton candidacy with crossed fingers and whispers, hoping that the voting American public has “moved on” past the “protection of the philandering husband” issue and the “What difference does it make! ?” issue that you can bet all of her Democrat primary opponents will air in campaign ads. It is also possible that a Republican could run a similar ad in the general election, but if that Republican candidate is anything like the last two, they will probably do so in a voice that sounds remarkably similar to that of a castrated lamb. Team Hillary is probably already trying to update, and personalize, the spin that Jay Carney tried to float when he called Benghazi an “old story”, in an attempt to get away with not providing any answers for it. Team Hillary may get away with such a line of defense, as the issue will be nearly four years old by the time they start running. Knowing Hillary’s usual line of defense, however, it will probably be more along the lines of an “Is that all you got? Get over it!” line of defense … Though I’m sure the line they develop will be more catchy response, a soundbite, that focuses on the accusers and doesn’t address the issue at all, but satisfies those that want to be satisfied. They may try a similar tactic with the “Protection of a philandering husband” issue, as that issue will be nearly twenty years old by that point, or they may try to say that Hillary was completely vetted on that issue in the 2008 Democrat primary. No one knows the exact spin Team Hillary will use, of course, but if past history can be used to indicate future results the only thing we know for sure is that Team Hillary will not address either issue completely, or factually. “As far as I’m concerned, Hillary disqualified herself for the presidency in that fist-pounding moment at a congressional hearing when she said, “What difference does it make what we knew and when we knew it, Senator?” Democrats have got to shake off the Clinton albatross and find new blood. The escalating instability not just in Egypt but throughout the Mideast is very ominous. There is a clash of cultures brewing in the world that may take a century or more to resolve — and there is no guarantee that the secular West will win. Paglia is basically saying that Hillary Clinton’s actions, as Secretary of State, under the rubric of the shared foreign policy actions (or inaction as the case may be) of Barack Obama, regarding their foreign policy in the Mideast, and more specifically Egypt, will weigh heavily on Hillary Clinton’s otherwise thin resume. 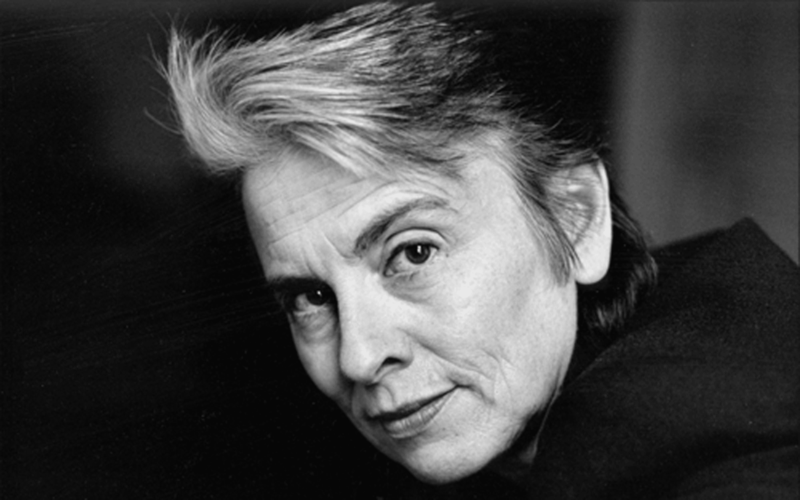 It is always refreshing to read the honest appraisals of Camille Paglia. Most of us disagree with many of the things she writes, but even in our disagreements, we appreciate the fact that she is consistent; always provocative; and always honest with her appraisals of our society, our pop culture, and our nation’s political scene. She is a self-proclaimed diverse voice in an otherwise monolithic world of feminism, and few would dispute this assessment. She has basically stated that the voices within the feminist movement are typically as monolithic as the conservative groups they accuse of being monolithic. A statement such as this from a Democrat, lesbian feminist has to be shocking to those that choose to become liberal for the very reason that they believe it is a more open-minded philosophy for diverse thoughts. As such, it is refreshing to read an open-minded, and consistently diverse voice, from an avowed feminist, lesbian, Democrat, state that Hillary is not the inevitable candidate. Even with that unstated proclamation, Paglia would surely admit that Hillary has paid her dues, “bullishly covering for her philandering husband” to protect the Democrat party from falling prey to having the first president ever removed from office by the Senate. She also saved the Democrat party from having to endure an extended, vicious primary debate in 2008. Some believe this was as a result of a deal she cut with candidate Barack Obama that would allow him to take office in 2008 without further cuts administered by Team Hillary. Some also believe that this purported deal, called for Hillary’s husband, former President Bill Clinton, to assist Obama in his re-election bid in 2012. For these reasons, and the monetary war chest Hillary has accumulated, some believe Hillary is the inevitable candidate for the Democrat ticket in 2016. They also believe in the “it’s her turn” principle that is prevalent in modern American party politics, in the manner it was for Bob Dole in 1996, and John McCain in 2008, and Walter Mondale in 1984, and this “turn” process has a lot to do with a candidate paying their dues to gain favor from the their party’s national committee. It’s refreshing to read an open-minded feminist, lesbian, Democrat basically say that she doesn’t care about any of that. It’s refreshing to read her state that she basically doesn’t care that everyone from Chris Matthews to Bill O’Reilly is now saying, with marked incredulity, that they can’t see anyone stepping forward to dethrone Hillary, in almost the exact same manner they did in 2008. It’s refreshing, because one would normally believe that an avowed feminist, lesbian, Democrat would play on her identity’s politics and state that the woman has earned her “well-deserved” turn at the crown. If we could all disassociate ourselves from our identity’s politics, and back the best person for the job, thus shelving our personal agendas, we would surely have a better list of candidates.